Pictures from last night's concert. The great Welsh bass-baritone visits Pamplona as part of the concert tour that is taking place in different European cities. 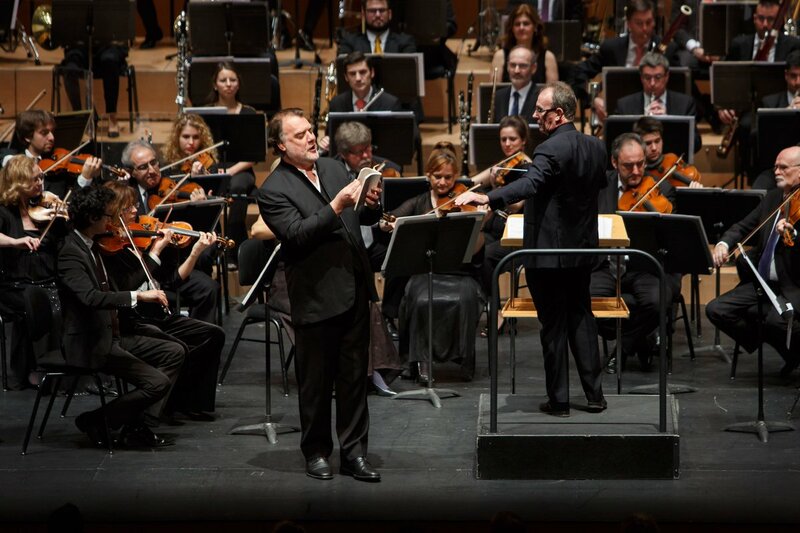 The concert has gone from more to less, having highlighted the great and overwhelming personality of Bryn Terfel, who has offered in the second part a program quite inappropriate for an audience like Pamplona, ​​and accompanied by a musical direction that has left quite be desired. 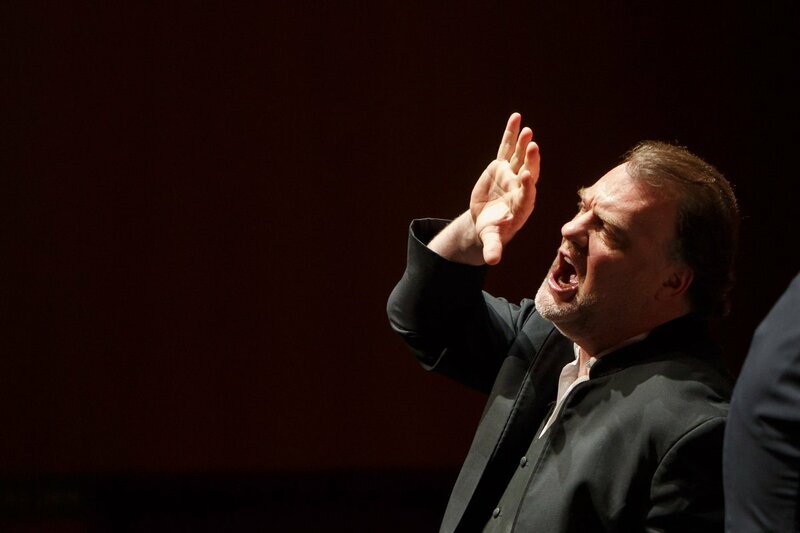 It must be said that Bryn Terfel, apart from being one of the best singers of today in his rope, is a real showman, with an overwhelming sympathy that connects and wins the public with great ease. That is what happened in the first part of this concert. This did not happen in the second, because the chosen fragments were more suitable for true connoisseurs than for a public unused to German opera. Bryn Terfel was in very good vocal form, although it was not at all helped by his compatriot Gareth Jones, who was not able to control the sound of the orchestra at any time. 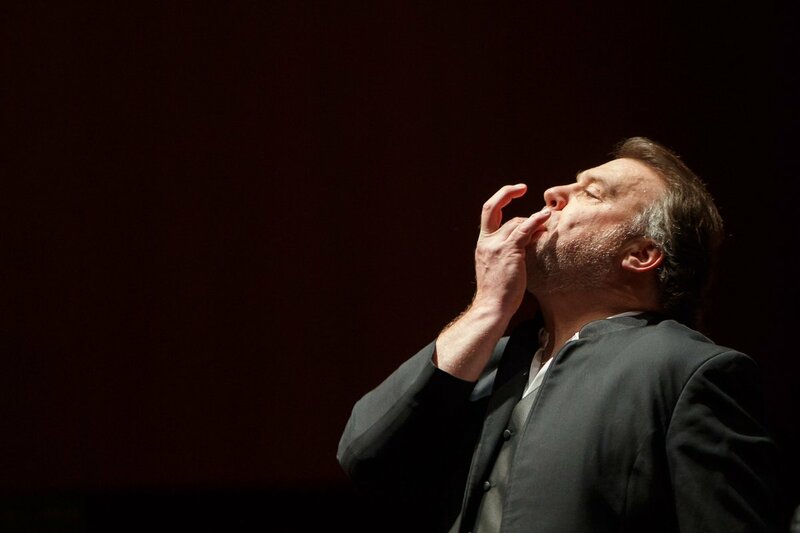 Terfel began his performance with the aria of the Leporello Catalog, sung with great expressiveness. He followed with the Mephistopheles aria Le Veau d'or, belonging to the opera Faust by Charles Gounod, very well interpreted. It was followed by Mackie's verse, the knife of Kurt Weill's Three Cents opera, where his expressiveness and sympathy once again shone. He then interpreted the aria of Arrigo Boito's Mephistophele, in which he was particularly amused, making an authentic display of whistles, inviting the audience to imitate him, with which he ended up putting it in his pocket. He finished the first part of the concert with the arioso of Falstaff on l'onore, where he made a great vocal and interpretative composition. 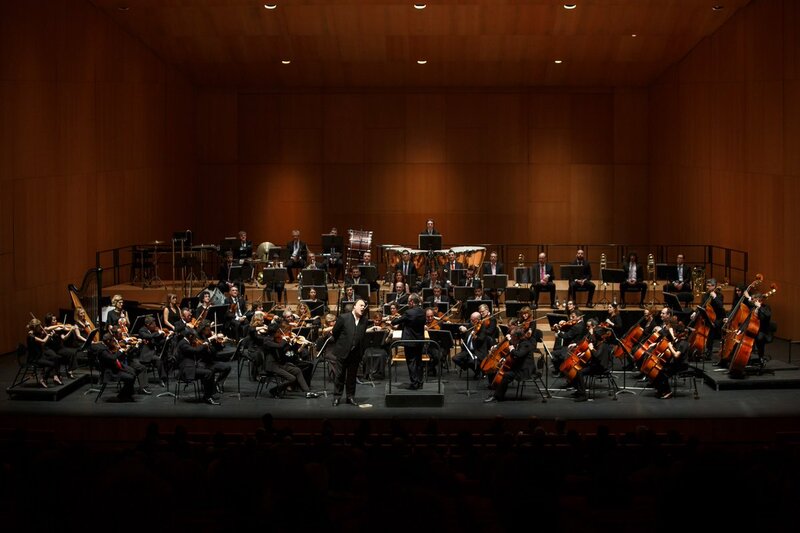 The second part of the concert was dedicated to operas by Richard Wagner, who is not exactly the author with whom the public of Pamplona is more familiar and that brought with it that the popular enthusiasm decayed in a remarkable way. Two pieces were chosen. The first was the monologue by Hans Sachs, belonging to the second act of Meistersinger, well sung, but I doubt very much of its adaptation to a concert of this type. He finished his program with the Goodbye to Brünnhilde of Die Walküre, where he shone as always in this opera, not in vain has been and remains one of the best possible Wotan in this opera by Richard Wagner. As tips, he offered two Welsh compositions, unknown to the audience attending the concert. The first was a beautiful lullaby and the second the song I am dreaming of my home. I do not know why he did not offer as a tip the well-known If I Were a Rich Man, from Violinista en el Tejado, who has offered it at other points of his tour and with which he has invariably obtained great success. As I said above, he was accompanied by the Navarre Symphony Orchestra under Gareth Jones. It was precisely this orchestral accompaniment that was most critical of the concert, since the Welsh director was not able to control the orchestral volume, offering an authentic recital of noise in all his interventions. Anyone can understand that to interpret the overture of Don Giovanni or the aria of Leporello is not necessary an orchestra of more than 60 musicians, unless you take special care with the volume they produce. This was not the case, as it continued throughout the concert, where they also performed Eugene Oneguin's Polonaise, Verdi's Nabucco overture, the prelude to the third act of Lohengrin, ending with the Valkyrie's Ride. The Baluarte offered an occupation of around 70% of its capacity. The audience was much more excited in the first than in the second part of the concert. The concert started 5 minutes late and lasted 1 hour and 54 minutes, including intermediate and tips. For the lovers of statistics (if there are any) I will tell you that Bryn Terfel's vocal interventions lasted 46 minutes, including his two tips. The price of the most expensive locality was 45 euros, costing the cheapest 21 euros.